Achieve the look of a real wood-burning fireplace without the hassle of buying, stacking and lighting real wood. 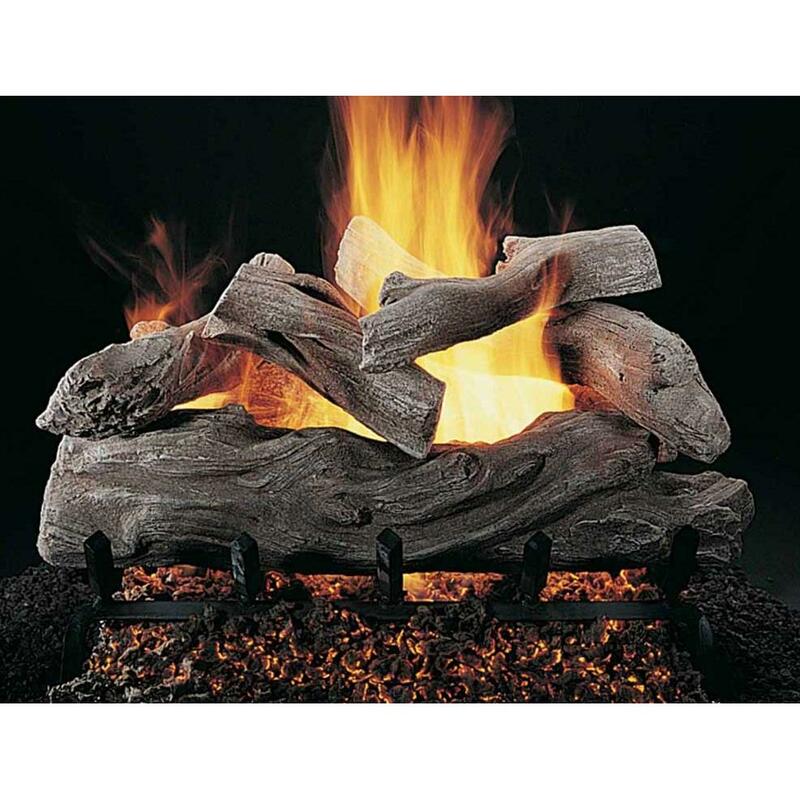 A gas log set such as this Manzanita design will provide your fireplace with a smooth, captivating appeal as the desirable flame gracefully parades across each log. The FX Burner features one main burner tube, a dual ember booster tube and an extended ember pan for a larger, brighter ember bed in front of the logs. This burner has been tested and will meet the ANSI standard certifications and is only for use in fully functioning wood-burning fireplaces. This set comes ready to accept a hand held remote control device to be able to turn it on without having to kneel down by your fireplace each time. (Hand held device not included) This pilot kit is factory installed for use with the included ANSI Certified burner.